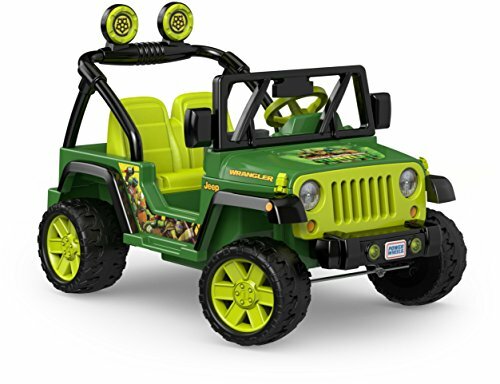 Kids can take the exciting ninja action off-road in the Teenage Mutant Ninja Turtles Jeep Wrangler! 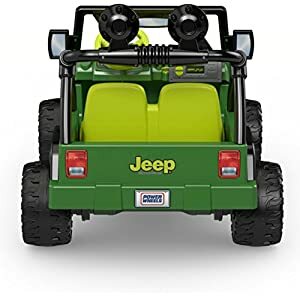 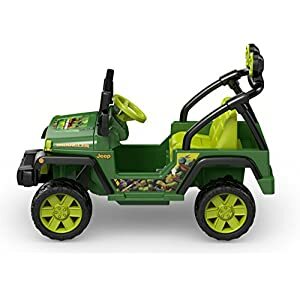 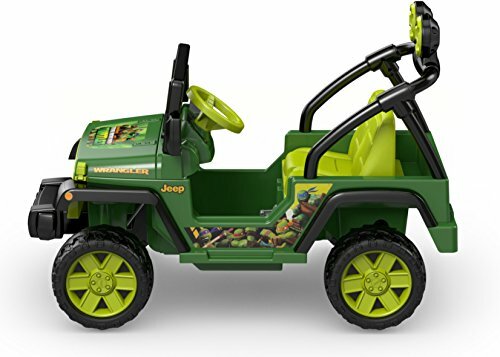 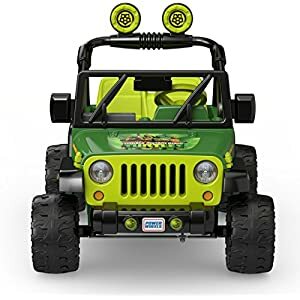 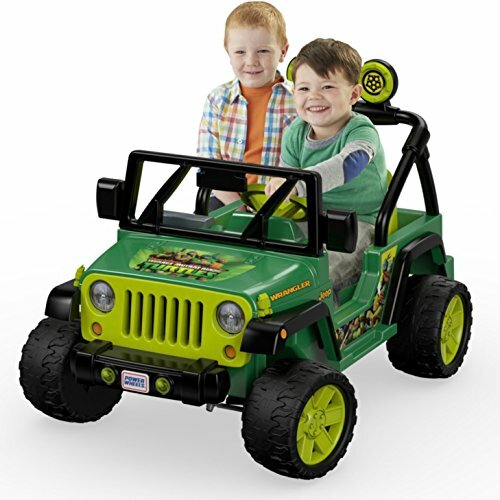 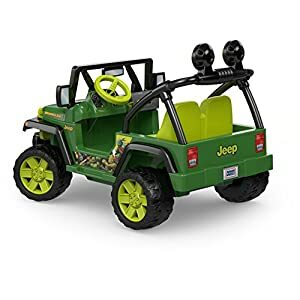 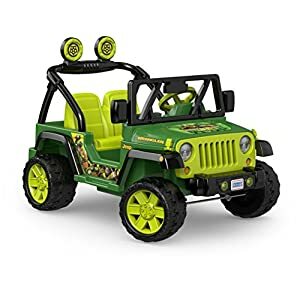 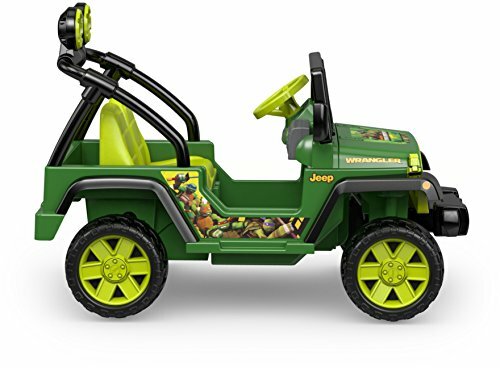 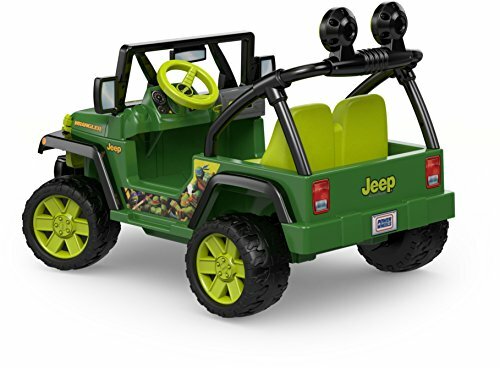 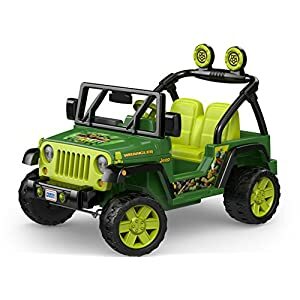 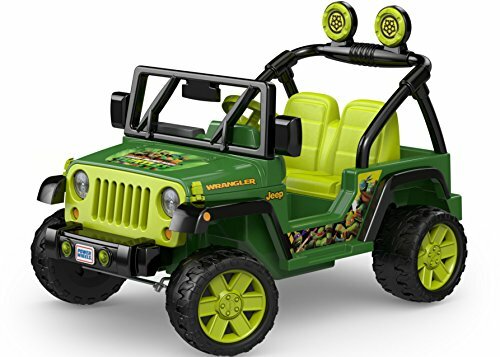 This Power Wheels ride-on looks just like a real Jeep Wrangler but revs up the fun with Teenage Mutant Ninja Turtles colors & graphics, plus character phrases & music from the show! 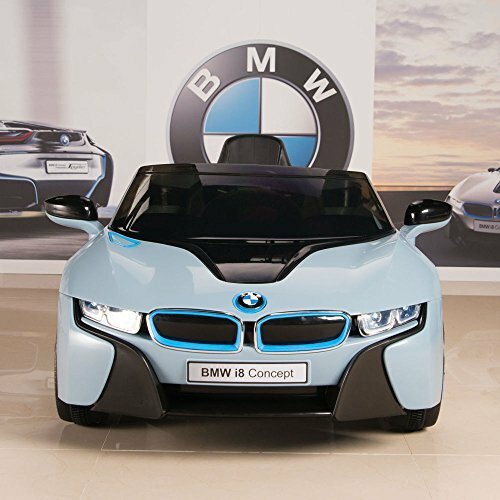 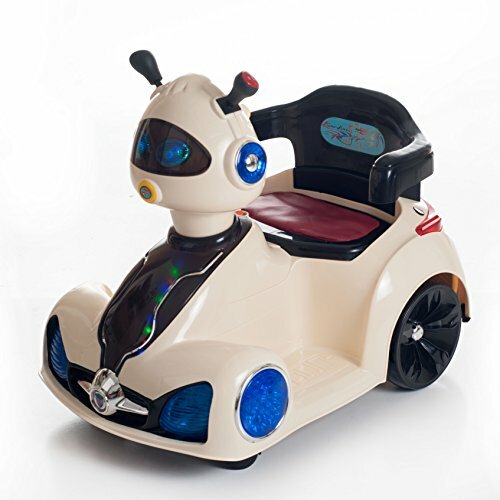 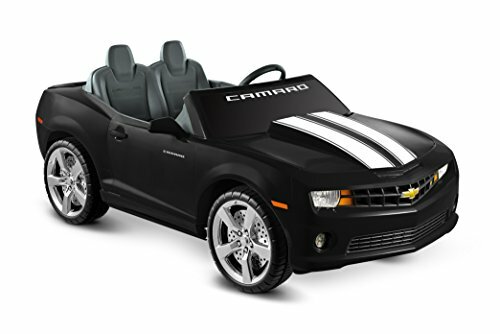 12 volts of battery power take young ninjas in training up to 5 mph forward (2.5 mph max. 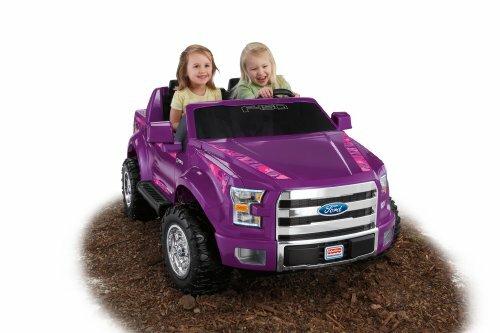 reverse) over hard surfaces and grass. 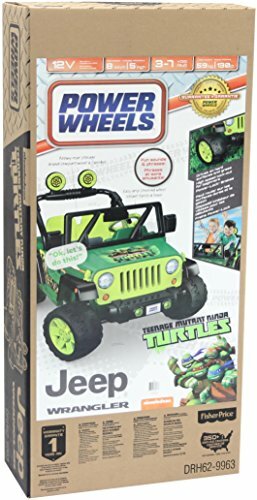 There’s room for a driver and passenger (Donatello and Raphael, maybe? 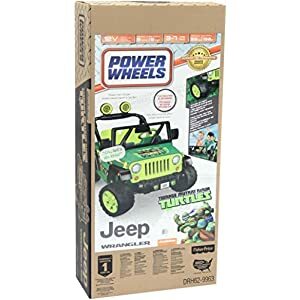 ), up to 130 lb. in weight.